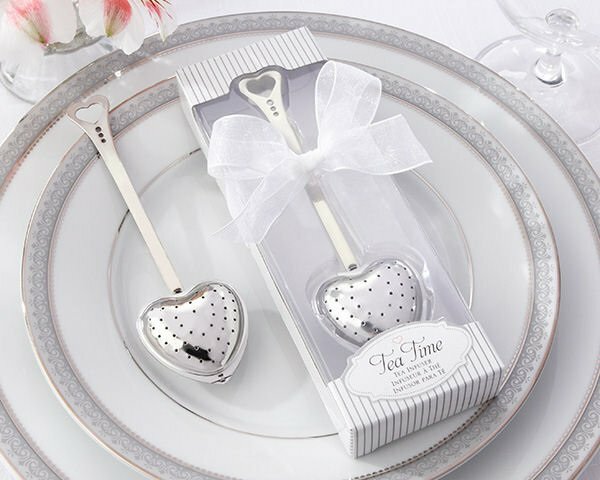 Time for tea!-and time to thank your guests for sharing in your day of heartwarming happiness. 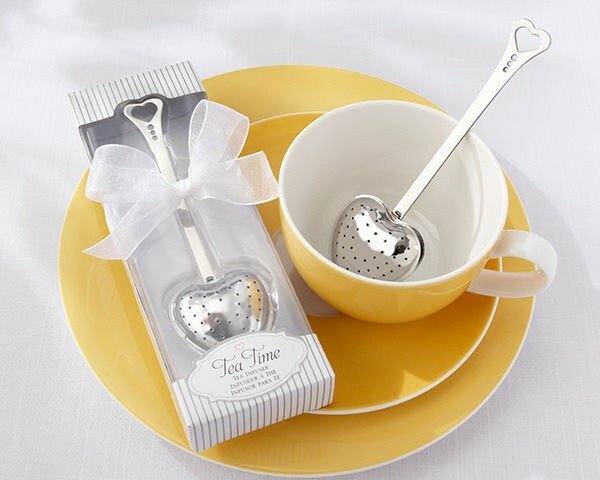 Let your guests stir up some love with our stainless steel heart shaped tea infusers with a charming openwork heart design on the handle. The infuser measures approximately 5 1/2" x 1 1/2" x 3/4" and will certainly warm the souls of your guests. Our impressive presentation arrives in a white box measuring 6 3/4" x 2 1/2" x 7/8" with thin silver stripes and a clear display front for viewing. Perfect for gift giving the attractive box is accented with a white organza ribbon and bow. Fridman how Mach to ship 250 like this to Israel? At this time, Wedding Favors Unlimited ships only within the 48 contiguous United States. We apologize for any inconvenience.